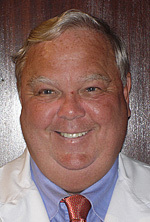 Louis W. Meeks, MD, is certified by The American Board of Orthopaedic Surgery and is a Fellow of the American College of Surgeons, the American Academy of Orthopaedic Surgeons, the American College of Sports Medicine, The American Orthopaedic Society for Sports Medicine and the American Back Society. He was a pioneer in anterior cruciate ligament (ACL) reconstruction and is an internationally recognized leader in arthroscopic knee surgery, having received numerous prestigious honors for his clinical expertise, his teaching skills and his passionate commitment to the disciplines of Orthopaedic Surgery and Sports Medicine. An Assistant Clinical Professor in Orthopaedic Surgery at Harvard Medical School, Dr. Meeks served as a course director in Orthopaedic Surgery and Sports Medicine. He was honored with the Daniel D. Federman Outstanding Clinical Educator by the Harvard Medical Class of 2000, the Golden Apple Teacher of the Year 2001 by the Harvard Combined Orthopaedic Residency Program, and was named a Senior Fellow of the Oliver Wendell Holmes Society, Harvard Medical School. 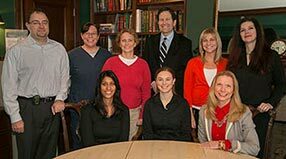 The 2008 Harvard Orthopedic Journal was dedicated to Dr. Meeks for his devotion to post graduate education. Dr. Meeks received his medical degree from the University of Michigan Medical School in 1963, was named Chief Resident in Orthopaedic Surgery, University of Michigan Medical Center in 1970, after serving as a combat surgeon and company commander in Vietnam. He became a respected lecturer and a published author in the fields of his expertise, Dr. Meeks is an emeritus member of the International Arthroscopy Association and the North American Spine Society, and a fellow of the American College of Surgeons. After moving from Ann Arbor, Michigan to Boston in 1989, he became committed to both the community and his academic profession. Throughout the years, he has been active on a variety of Boston boards that support the arts. Dr. Meeks is emeritus president and co-founder of Meeks and Zilberfarb Orthopedic Associates Inc. , Brookline, MA and on staff at Beth Israel Deaconess Medical Center, Boston, Massachusetts. In 2008, he was honored by the Consumers research council of America, “Americas Top Orthopedists”. He was also featured on Knee Care Hero-Kneel.com, the internet’s leading website for knee health information. Early in 2012, Dr Meeks limited his practice to general orthopedics and sports medicine. In 2015, he retired after a distinguished 48 year career to spend more time with his five children and 11 grandchildren.